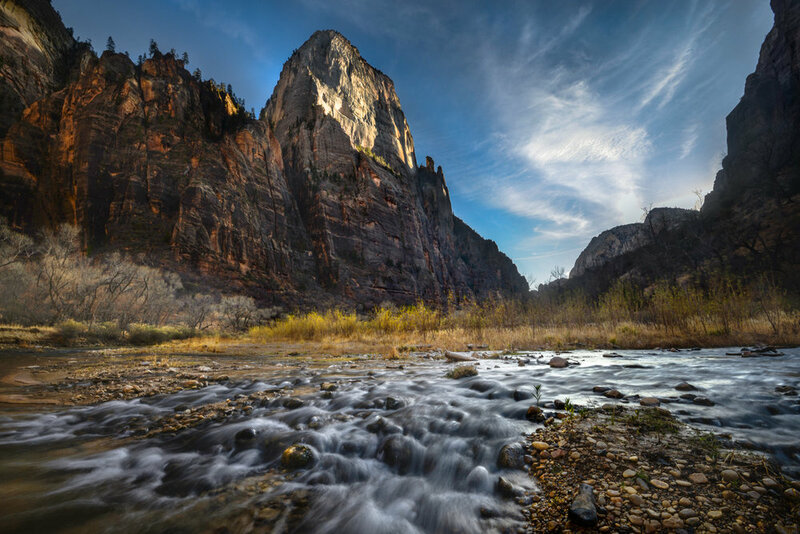 Zion National Park in the fall is quite a sight to be seen. This gem in southern Utah comes alive with autumn colors from golden cottonwoods along the Virgin River to soft light reflecting off the canyon walls in the Narrows. This time of year is perfect for photographers and for good reason. 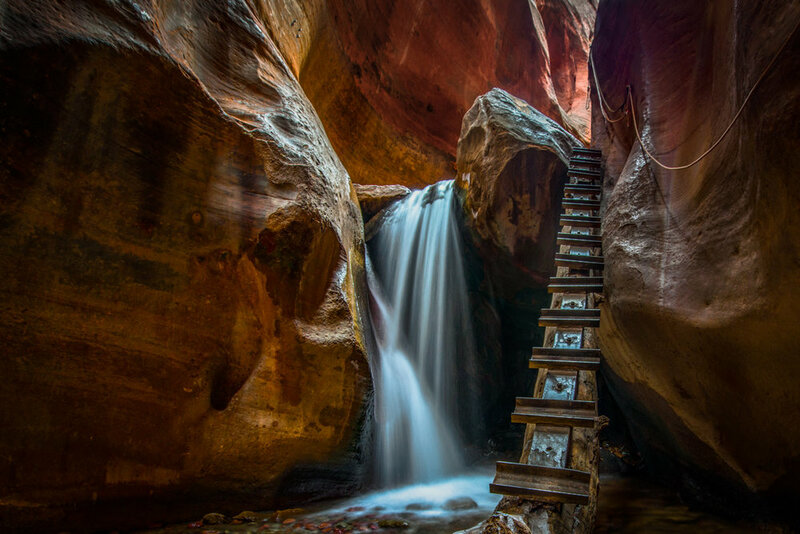 After many trips to Zion photographing great locations both inside and out of the park, we are proud to now offer instructional workshops in one of our favorite places! 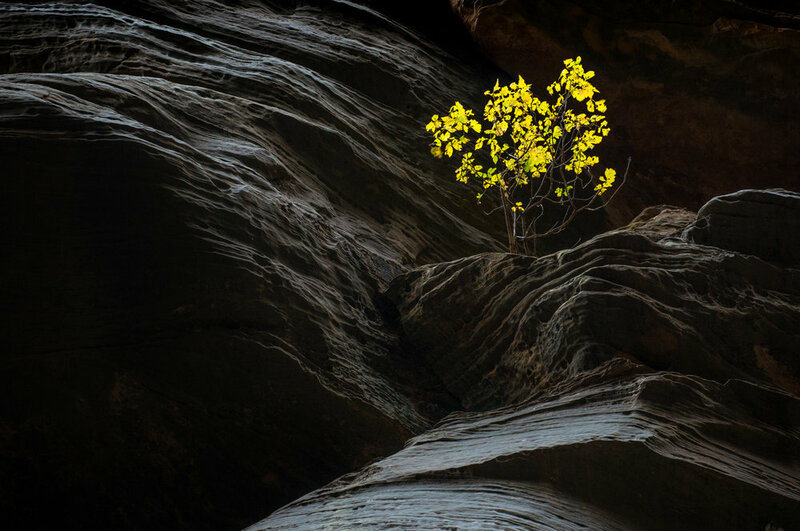 On this four day photography workshop you will be able to capture beautiful images of this desert canyon in all it's glory. Field sessions will include photographing vistas from the canyon rim, the Narrows, unique sandstone formations and riverside scenes bursting with fall colors. You will be guided to some of the most scenic spots in the park including some off the beaten path, and provided with expert instruction on how best to capture the light and interesting compositions in the field. This small group workshop is designed to give each participant the personal attention that they need. With the goal of the workshop being to give you the ability to explore, learn, and fine tune your photography skills both in the field as well in post processing development to bring your images to life. 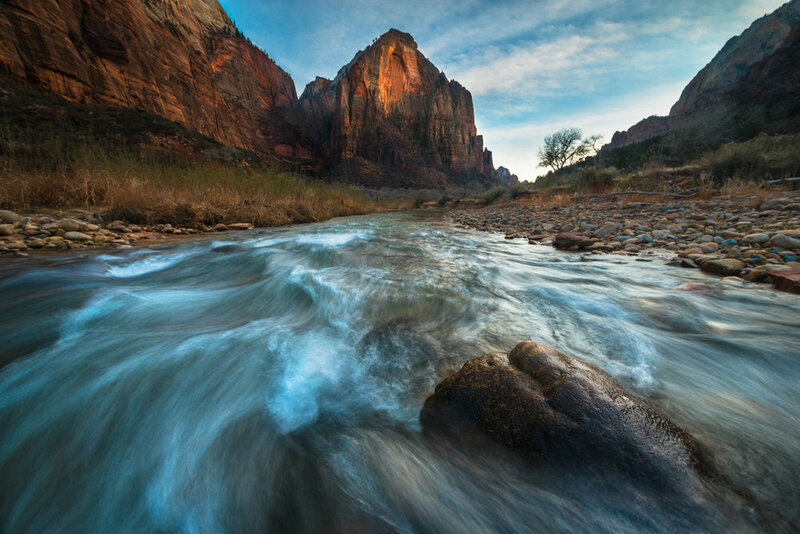 We will meet in Springdale in the early afternoon on our first day Saturday November 2 for an informal meet and greet before heading out for to photograph sunset along the Virgin River and the iconic Watchman mountain. From there we will spend the next four days both inside and outside of the park, capturing nearly every corner of this wondrous landscape, with the highlight being a full day photographing the famous Narrows. Each morning we will meet well before sunrise and typically continue shooting for a few hours until mid morning before having some breakfast and breaking mid day. During the early afternoons we will also mix in time for teaching developing techniques in both Adobe Lightroom and Photoshop before heading out for our afternoon sunset field session. The days will be fun, intense and full of activity and also flexible. So if the weather isn’t conducive to making great images, we may focus on post processing that particular day. Sunrise at this time of year is at 7am and sunset at 5:30pm. Temperatures can fluctuate greatly at this time of year, with the possibility of snow to mid 80 degree days. We will be taking the park shuttle into the park each day and carpooling when necessary to locations off the shuttle route. The hotel is a mile from the park entrance so on most days there will be minimal driving. Physical difficulty of the workshop will be easy to moderately strenuous. On some hikes there may be some short steep sections but this will not be the norm. We will be doing a couple hikes of several miles including an out and back into the Narrows. We will be getting gear from the local outfitter to hike in the Narrows and another small canyon. 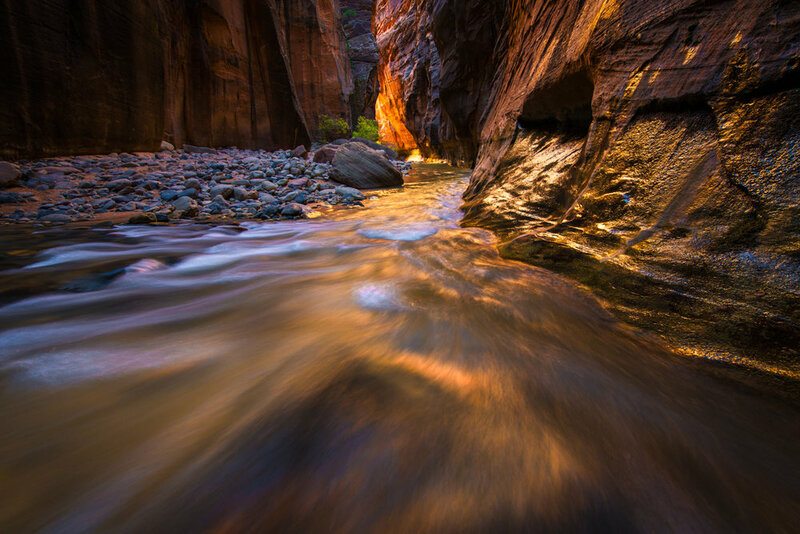 While the Narrows flat, hiking in water that is ankle to thigh deep over river rocks can be tricky, particularly with a camera bag on your back. It is important that participants be in good physical health and without any mobility issues. There will not be hikes with severe elevation gains, hiking to Angel’s Landing isn’t on the itinerary due to the crowds, but feel free to do so on your own! The closest airports to Springdale are in St. George and Las Vegas. Rooms have been secured at the Quality Inn and are billed at cost for those who would like to include lodging. Each room will have two queen beds but will not be shared among attendees. A standard small to mid-size rental car will be sufficient for getting around the park. This may be the desert but we will be spending quite a lot of time photographing in and around water as the Virgin River is the lifeblood of this amazing park. You can expect an adventure filled week in one of the southwest’s iconic locations. 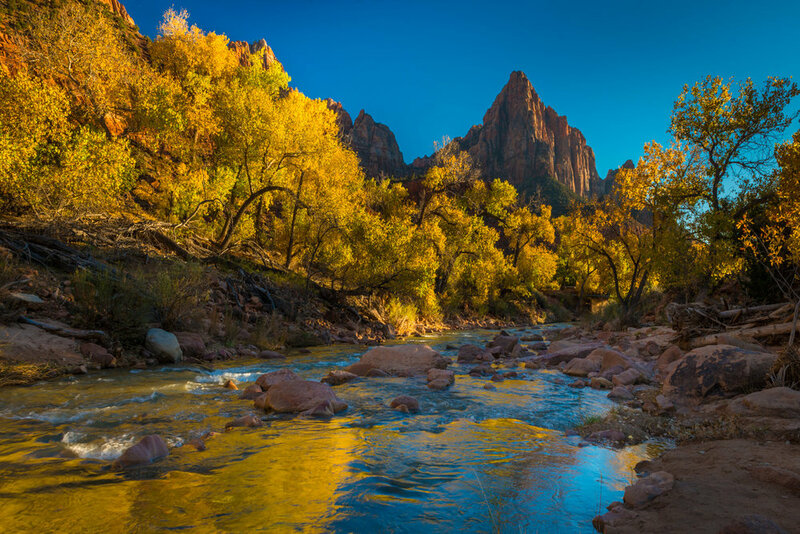 Being in Zion during the peak of fall is one of the best places a photographer can be to stretch their skills and get creative with that autumn color. 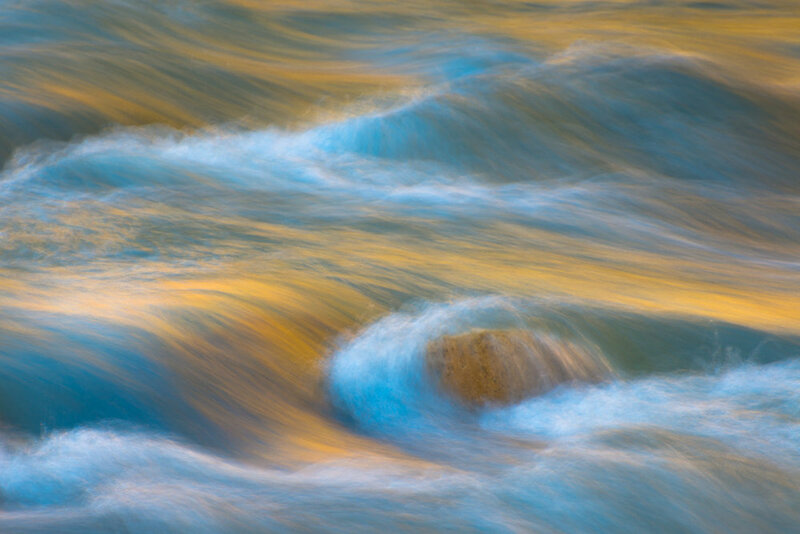 The light that softly hits the canyon walls in the Narrows and the river rapids are perfect to try long exposures and find appealing foregrounds. And the sandstone that sculpts the entire park is made for capturing small intimate scenes to the grander landscape images. As stated previously there will be early mornings and late evenings but the days are structured to not wear anyone out and get the most enjoyment of the surroundings and scenery. I will provide tips in the field to capture images correctly "in camera" with the goal being that part becomes second nature and students can then focus on the creative aspects of landscape and nature photography. Post processing instruction will run the gamut of importing and organizing files into Lightroom to processing images in Lightroom and Photoshop and finally prepping images for the internet or for print. I am an open book and willing to share any tips or tricks I’ve learned to help you turn your photos into art!